This property is situated in the heart of Harrow, just a short walk from bus and train stations. 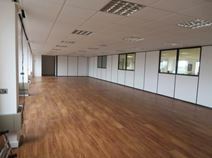 This refurbished office suite is available now, and can be adapted to suit your requirements. A stunning boardroom is also available to clients. Located near to Harrow on the Hill underground and rail stations, this impressive centre provides easy access into central London and is itself surrounded by shops and amenities. 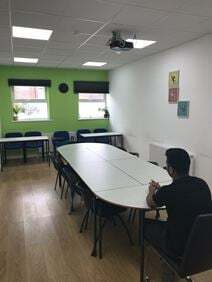 This is a capacious modern building with high quality furnishings and cutting-edge IT facilities, as well as administrative support, meeting room availability, 24-hour access and a security system in place for added peace of mind. On site at this newly built building you'll find parking facilities, meeting and board rooms, free wifi alongside conference facilities and 24 hour security. This modern space is fully fitted with air conditioning and central heating to ensure you can work all year round, with a dedicated cleaning team on-site to give the space that daily fresh feel. Located close to the nearby stations of Bakerloo on the Underground and Harrow & Wealdstone on the Overground line, with plenty of access via bus routes as well, this building is ideally located for your daily commute. You can also take advantage of the on-site parking. Nearby to the building you'll find an abundance of shops, restaurants and cafes to entertain clients, take a break from the office or enjoy some after work activities. Situated near Harrow town centre this business centre provides air conditioned offices that have 24/7 access and are run by award-winning management. The building has recently been refurbished and has state-of-the-art technology. Situated in the heart of North Harrow, just 5 minutes from the underground, this centre is close to a gym, restaurants and excellent bus routes. 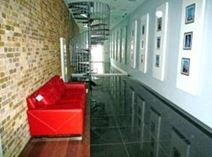 This centre offers fully refurbished office space in a professional environment. A full range of services is available to clients. Single offices to rent in a modern property with unique designer interiors and a convenient location near Harrow on the Hill. Storage and parking are also available and the nearest station is Harrow and Wealdstone which is both mainline and underground. An established business centre within a renovated 1970s office block presently occupied by companies from a selection of industries. South Harrow station is nearby as is the High Street with its shopping and restaurant amenities.